From the Book Jacket: There are some pretty weird grownups living in Bailey City. But could the new soccer coach really be a zombie haunting the soccer field? The Bailey School Kids are going to find out! "That old lady put a spell on Coach Graves and turned her into a zombie!" Melody said. Eddie grabbed Melody's arm and shook her. "I think you're the zombie and your brains have taken a permanent vacation." Liza and Melody broke into a fit of giggles. "Eddie's right." Lisa giggled. 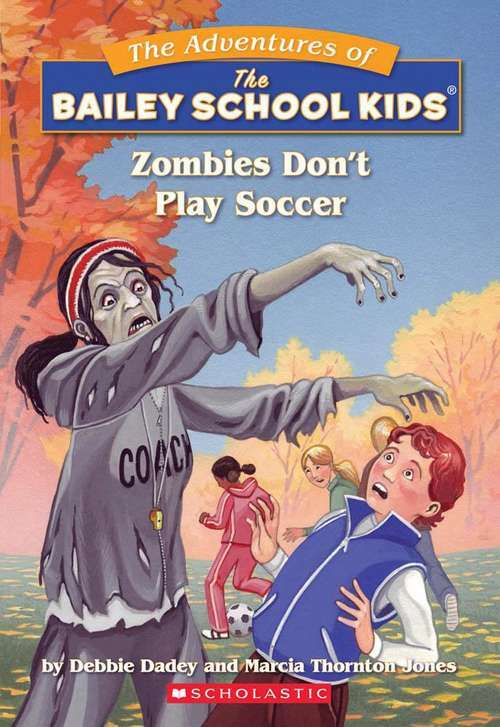 "After all, zombies don't play soccer."